Heavy Duty Hinges for Heavy Duty Doors and Gates - Kiesler Machine Inc. Heavy Duty Hinges for Doors and Gates. Large Variety of Products like Door Hinges, Gate Hinges, Pivot Hinges, Weld On Hinges, and Many More. Kiesler Machine Inc. specializes in designing and manufacturing industrial hinges for heavy doors. Our Heavy duty hinges are specifically designed to meet the needs of heavy industrial applications. They are capable of supporting very heavy doors and provide years of trouble free service. Support loads up to 25,000 lbs. Heavy Duty Door Hinges : Known for their immense load bearing capacity. Heavy Duty Gate Hinges : Offered with or without mounting holes. Heavy Duty Weld On Hinges : Have the ability to withstand high application stresses. Radiation Shielding Hinges : Support loads up to 40,000 lbs. These hinges are distinguished from other hinge products by their superior load capacity. We manufacture heavy duty hinges from carbon steel and 304 or 316 grade stainless steel. They are designed with thrust bearings, which allow them to take on immense weights. They are installed and used with various types of doors and applications. Kiesler Machine Inc. provides heavy duty hinges with the following technical specifications. Height : Between 5" and 16"
Hinge Weight : From 4 lbs. to 477 lbs. Door Weight Range : From 1,000 lbs. to 40,000 lbs. Maximum Radial Load : From 400 lbs. to 25,000 lbs. Our heavy duty hinges can provide a variety of benefits that would enhance the performance of the hinge as well as the application. They can be installed on gates and doors by either welding or with optional mounting holes. Maintanence free for years of trouble free service. Assemblied with needle bearings and a thrust bearing for smooth operation with the heaviest doors. 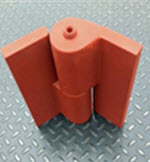 Kiesler Machine Inc. provides you the widest range of hinges to meet the requirements of high stress and load applications in various industries. 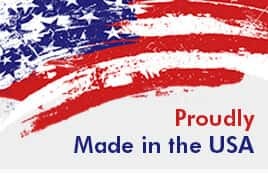 All our hinges are manufactured with pride in the U.S.A. at our plant in Palmyra, Indiana. Q : What type of materials do you use for fabricating hinges? A : We utilize stainless or carbon steel for fabricating our heavy duty hinges. The type of steel includes 1018 hot and/or cold rolled steel and 316L or 304L stainless steel. Q : What thickness do you provide for heavy duty hinges? A : Depending on the type of product you purchase, our leaf thickness ranges from 1″ to 3/8″. 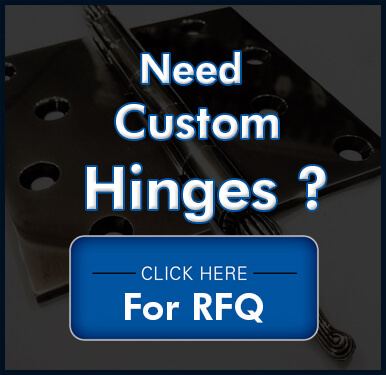 If your requirements are for a thicker leaf, we can fabricate custom hinges that will meet your requirements. Q : Can you provide me with a product information sheet? 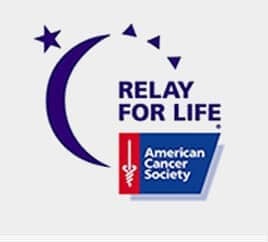 A : Yes, we can provide a product sheet or you can find out detailed information about our products by referring to our Products Subpages. Q : How do I know whether stock for a particular hinge is available? A : Information regarding stock availability is provided on the product pages. For a more accurate inventory count, please contact a representative by calling 888-565-6610. Q : Can heavy duty hinges also be used at home? A : Certainly. Many of our products can be used for heavy duty doors, cabinets and gates. Our carbon and stainless steel hinges provide excellent load bearing capabilities. They are easy to install and have a long service life.